There are always occasions when simplicity beats complicated. In this set, in which the green leaves are the star feature, we find simplicity amongst its smooth shapes. A wonderful gift for a woman who appreciates classic, natural designs. 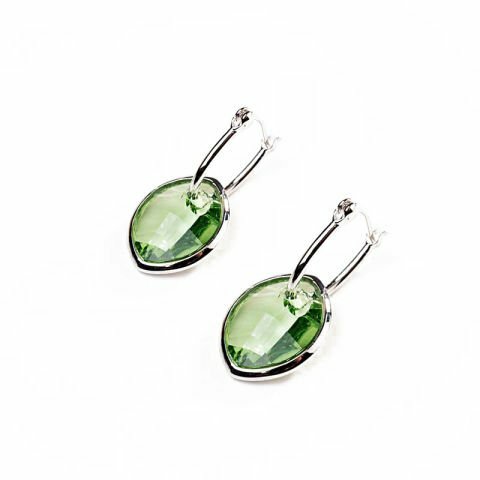 “Leaf Stone” earrings in peridot green: these earring have a delicate rhodium-plated setting with a dangling Swarovski crystal. This crystal has a leaf shape and the chosen colour is a very fresh and luminous peridot green, and is particularly flattering for women with light-coloured hair and/or dark skin. 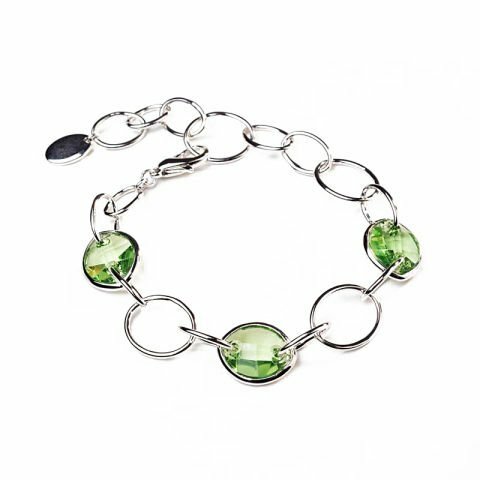 “Leaf Stone” bracelet in peridot green: the “Leaf Stone” bracelet by MyCollection with Swarovski jewels boasts three crystals in the shape of a leaf, linked together by a simple hollow-link, rhodium-plated chain. The perfect weight to stand out on the wrist, yet delicate enough to remain subtle and fresh, like the leaves that embellish it. We almost always find a source of inspiration in nature. This necklace and earring gift set was made to endow any feminine look with a touch of natural freshness. 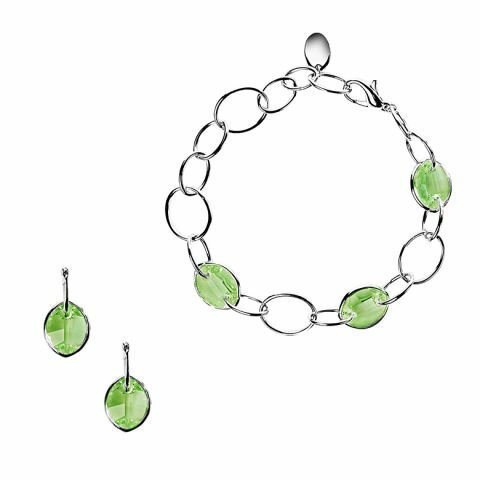 The earrings boast two peridot green Swarovski crystals, as well as the bracelet, with hollow links, and adorned with 3 crystals in a leaf shape.